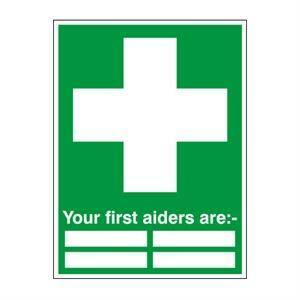 Your first aiders are. This sign lets you know who your first aiders are in an organisation. Available in 1.2mm rigid polypropylene or self-adhesive vinyl. 400mm x 300mm.